This scheme is for scientists based in the UK (or US for the Kan Tong Po programme) who want to stimulate new collaborations with leading scientists overseas through either a one-off visit or bilateral travel. International Exchanges 2017 Standard Programme Round 3, namely in Asia – deadline: 17th October 2017 15:00 UK time. Thanks to the support of the Royal Society of Chemistry additional grants are available through the Royal Society – Royal Society of Chemistry International Exchanges Award for collaborations between researchers in the UK and those in Sub-Saharan Africa (excluding South Africa) working on projects in the field of Chemistry. Up to £12,000 is available for 2-year projects for travel and subsistence including a maximum of £2,000 for research expenses. Applications must be made through the Standard Programme. Further information can be found in the Standard programme scheme notes. 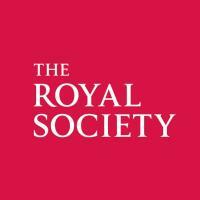 The Royal Society offers additional funding through its Colin Pillinger International Exchanges Awards. This support has been made possible by the family and friends of Professor Colin Pillinger. In addition to the funding available through the Standard programme, applicants who wish to apply for this award can request an additional sum of up to £1,000 to enable them to communicate their research to the general public. If you intend to collaborate with partners in Argentina, China, France, Ireland, Japan, Russia or Taiwan, your proposal can also be considered for the Cost Share Programme. This entails the UK applicant submitting a proposal to the Royal Society for up to £12,000 and the overseas applicant simultaneously submitting a proposal for an additional amount up to/equivalent to £12,000 to a partner organisation, with whom the Royal Society has a funding agreement. Further information can be found in the Cost Share programme scheme notes. The Kan Tong Po Programme are for UK or US-based scientists to collaborate with Hong Kong-based academics based at University of Hong Kong, Chinese University of Hong Kong, the Hong Kong Polytechnic University, the City University of Hong Kong or the Hong Kong University of Science and Technology. Applicants may request up to of £3,000 for one-off travel lasting up to 3 months. Further information can be found in the Kan Tong Po programme scheme notes.